Just a quickie this time. 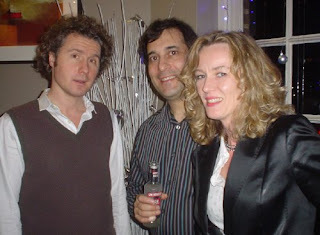 Enjoyed myself very much at the Skeptics Westminster Christmas drinks last night. 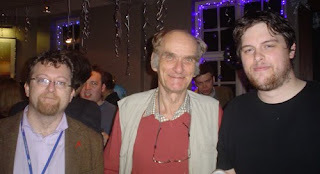 The place was stuffed full with bloggers, writers, nerds, political activists and campaigners - great company all. There was a good atheist turnout despite the Biblical weather conditions. Here are a few pics for those of you who couldn't make it. 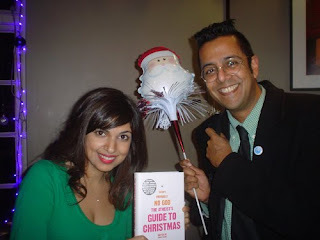 And remember that Ariane Sherine will be visiting London Skeptics in the Pub at Penderel's Oak on the 7th. See you there!